Pau-Llosa was born into a working-class family in Havana. In 1960 Pau-Llosa fled Cuba with his parents, older sister, and maternal grandmother  all of whom emerge in his autobiographical poems of exile and remembrance. He graduated from Belén Jesuit Preparatory High School in Miami in 1971, and went on to major in English (literature) at various universities, among them Florida International University (BA, 1974), Florida Atlantic University (MA, 1976), and the University of Florida (19781981). His first book of poetry, Sorting Metaphors (Anhinga Press, 1983), won the first national Anhinga Prize,. He published a second book of poetry in Bread of the Imagined (Bilingual Press, 1992). His third book of poems, Cuba (Carnegie Mellon U Press, 1993), was nominated for the Pulitzer Prize. His latest collections are Mastery Impulse (2003) and Parable Hunter (2008), both from Carnegie Mellon. Sorting Metaphors, won the national competition for the first Anhinga Poetry Prize (judge: William Stafford), Tallahassee: Anhinga Press, Florida State University, 1983. Bread of the Imagined, Bilingual Press, Tempe: Arizona State University, 1992. Introductory essay by Dionisio D. Martínez. Cuba, the 100th title in the Poetry Series of Carnegie Mellon University Press and a Pulitzer Prize nominee, Pittsburgh: Carnegie Mellon University Press, 1993. The Mastery Impulse, Carnegie Mellon, 2003. Parable Hunter, Carnegie Mellon, forthcoming 2008. Agni, Alimentum, American Poetry Review,Antigonish Review, Ascent, Bellingham Review, Beloit Poetry Journal, Black Warrior Review, Bloomsbury Review, Boston Review, Boulevard, Caliban, Carolina Quarterly, Chelsea, Clackamas Literary Review, Colorado Review, Crab Orchard Review, Crazyhorse, Cream City Review, CutBank, Denver Quarterly, DoubleTake, Epoch, Exquisite Corpse, The Fiddlehead, Fourteen Hills, Graham House Review, Green Mountains Review, Heliotrope, Hiram Poetry Review, Iowa Review, Indiana Review, The Journal, Kayak, Kenyon Review, Literary Review, Pretty Jerseys, Luna, Manhattan Review, Many Mountains Moving, Manoa, Margie, Marlboro Review, Massachusetts Review, Michigan Quarterly Review, Mid-American Review, Midwest Quarterly, Minnesota Review, Mississippi Review, Missouri Review, Nebraska Review, New England Review, New Letters, North American Review, Notre Dame Review, Ontario Review, Onthebus, Orion, Painted Bride Quarterly, Partisan Review, Passages North, Pacific Review, Phoebe, Planet, Pleiades, Ploughshares, PN Review, Poetry Northwest, Porcupine, Prairie Schooner, Quarterly West, Rattle, Rhino, River Styx, Salmagundi, Saranac Review, Seattle Review, Seneca Review, Shenandoah, Sonora Review, South Dakota Review, Southern Review, Sycamore Review, Tampa Review, Third Coast, 32 Poems, Trafika, TriQuarterly, Valparaiso Poetry Review, Verse, Vallum, Virginia Quarterly Review, among other magazines. In Spanish, poems have appeared in Poesía, Zona Franca and BCV Cultural (Venezuela); Boletín Federico García Lorca and Hélice (Spain); Proa and Letras de Buenos Aires (Argentina); Linden Lane Magazine (Texas) and Review: Literature and Arts of the Americas (Americas Society, New York City). The Carnegie Mellon Anthology of Poetry; W. W. Norton New Worlds of Literature, The Norton Introduction to Literature, The Norton Introduction to Poetry and Sudden Fiction International/Continued; Milkweed Outsiders: Rebels, Exiles, and Renegades and Urban Nature; Glencoe/McGraw-Hill Hispanic-American Literature; U Texas Press Re-membering Cuba; MIT-Terra Nova Writing on Water and Writing the Future; U of Iowa Press Vespers and American Diaspora; Harper-Collins Iguana Dreams: New Latino Fiction; Random House Cuba in Mind and 180 More Extraordinary Poems for Every Day. 1984-85, Oscar Cintas Fellowship in Literature from the Institute of International Education, New York, NY. Dirube, Madrid: ALA Art Editions, 1979. Rogelio Polesello, Buenos Aires: Ediciones Gaglianone, 1984. Rafael Soriano: The Poetics of Light, Miami: Ediciones Habana Vieja, 1998. Gustavo Acosta: 1994-2004, Buenos Aires: Ediciones Arte al Día, 2004. Sculpture, Art Papers, American Ceramics, Arts, Imagen, Terzo Occhio (Italy), Connaissance des Arts (France), Michigan Quarterly Review, Drawing, Planet (Wales), El Universal (Caracas), Arte Internacional (Bogotá), Arte al Día (Buenos Aires), Southward Art (Buenos Aires). From 1983-1992, contributing editor of Art International (Lugano, later Paris). Contributor and advisor to Macmillan of London's The Dictionary of Art (1996). 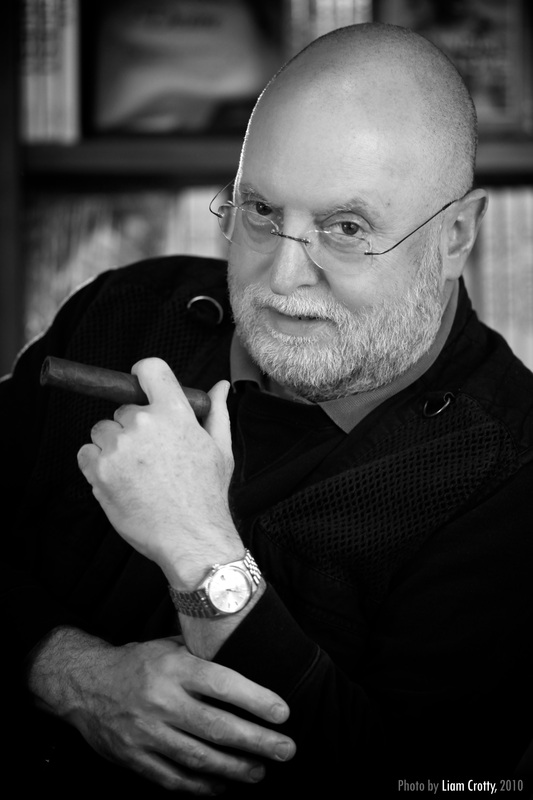 Currently, North American Editor of the Spanish-English international art journal Southward Art (Buenos Aires). ¡Mira! Canadian Hispanic Art Tour III (with two other curators, toured nationally 1988-89). Retrospective of Clarence Holbrook Carter, Lehigh University Museum, Pennsylvania. Retrospective of Humberto Calzada, the Bass Museum, Miami Beach, Florida. One of 12 international jurors at the 1992 Eco-Art hemispheric exhibition at the Museum of Modern Art in Rio de Janeiro. Guest curator at the 1997 and 1999 Lima Biennials, Perú. 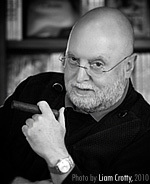 Juror, Salón Arturo Michelena (the most prestigious national salon in Venezuela), Ateneo de Valencia, Estado Carabobo, 1992 & 2003. The Art Institute of Chicago, High Museum of Art in Atlanta, National Library in Ottawa, Museo de Arte Contemporáneo de Caracas Sofía Imber, Cornell University, Brooklyn Museum, Meadows Museum in Dallas, University of Chicago, McGill University in Montréal, the National Library in Buenos Aires, the Fundación Proscenio in Buenos Aires, the Engleman-Ost Foundation in Montevideo, the Lima Biennial in Perú, Colorado State University/Colorado Springs University of London, and other institutions and international events, and at numerous art galleries. The Geraldine Dodge Foundation Waterloo Poetry Festival in New Jersey, the Living Theatre in Manhattan, the Miami Book Fair International, Hollins University in Virginia, Kennesaw State University in Georgia, McGill University in Montréal, the Norton Gallery of Art in West Palm Beach, Santa Monica College in California, the Museum of Art in Fort Lauderdale, Lowe Art Museum at the University of Miami, la Universidad Complutense at Alcalá de Henares (Madrid), la Universidad de Granada, Cheap NFL Jerseys, la Fundación Federico García Lorca in Madrid, the Southern Festival of Books in Nashville, Intersection for the Arts in San Francisco, the University of North Texas, the University of Northern Michigan at Marquette, The Americas Society in New York City, Colorado State University at Pueblo, University of Colorado at Colorado Springs, Zinc Bar in New York City, and at many writers conferences and bookstores in the United States and abroad.